NOTE: This review, much like Neil Patrick Harris’ new autobiography, will give you choices on how to read this properly. Please follow the instructions of each choice so as not to get lost. You have just finished Neil Patrick Harris’ autobiography. Well, it’s hard to say it’s an autobiography in the truest form. After all, NPH (you like to call Neil Patrick Harris that since you feel a close affinity with the actor… and you’re pretty sure he feels the same way to you) is a pretty cool guy with a lot of cool stories to tell. As he grew from teenage adolescence to the man he is now, you grew up with NPH as well. Still, you wouldn’t care to read his autobiography since, well, you don’t like to read. But when you heard what kind of book NPH was doing, it piqued your interest. Instead of writing a dry, straightforward life story, he was going to write in Choose Your Own Adventure style! If you want to reminisce about your childhood of reading Choose Your Own Adventures, scroll down to the red text. If you decide to remember the contents of NPH's Choose Your Own Autobiography, scroll down until you get to the purple text. If you just want to take a nap, read the Gray text just below. You decide to take a nap. Unfortunately, as you slumber, you didn’t hear the news broadcast that a human sized meteorite was hurtling towards the earth at supersonic speed right into your home. More unfortunately, the meteor smashes through your roof! Luckily you escape unscathed but NPH’s Choose Your Own Autobiography isn’t as fortunate as it gets torn to shreds by the tiny explosion the meteorite causes. When you were growing up, you loved reading Choose Your Own Adventures. It may sound cliche now but these books could transport you into different places and, as the series name implies, take you to great adventures all in the comfort of your own home. But, instead of just reading and taking a passive role (ie. 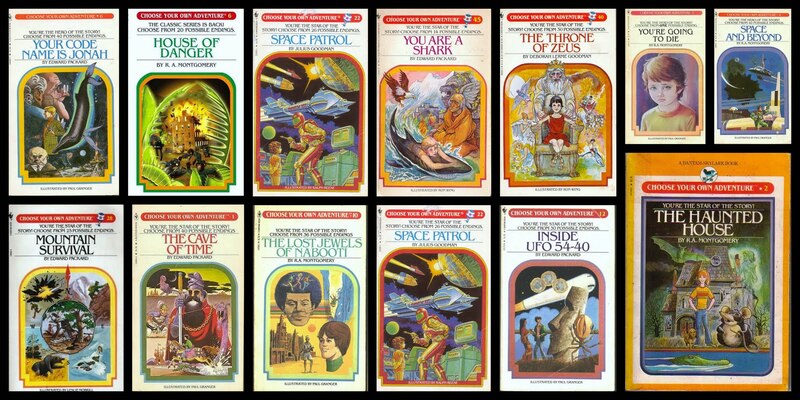 reading about the adventures of another person), Choose Your Own Adventure books allowed you to be in control of the story, albeit in a limited matter. Space Patrol was, and still is, your favorite in the series. NPH decided to write his own Choose Your Own Adventure book… but about his life! Well, of course you had to get it now! It’s the very first Choose Your Own Autobiography book… and probably going to be the only one because you can’t think of anyone that would have the brains, audacity and good humor to write an autobiography in this way! Well, after you finished it, you noticed there were some good things and bad things about his autobiography. If you want to think of the positive things regarding the book, scroll down to the orange text. The “story” itself is a fantastic read. You get to learn a lot about NPH’s life… which is kind of the point for reading an autobiography, I suppose. But there’s much more than that! In the Choose Your Own Autobiography, you get to learn a couple of magic tricks or learn to make bolognese! The way NPH tells his story is always so engaging. Like you’ve always known (like you said earlier, you two are close! ), he’s a really funny guy and loves to add humor to pretty much every story he has. All the jokes make this book a light read. But not all of the stories are hilarious. Some of the tales told were also touching, heartfelt and inspiring, such as how NPH got Gideon and Harper (his twin son and daughter) and how he met David. It was also quite an eye opener for you to learn about how much of a douche Anne Heche and Kelsey Grammar can be. The standout tale, for you anyway, would be all the preparation that went into making the 2013 Tony’s opening number. You knew it was complicated but you never realized how tough it was until you read the story! If you want to think about why it's genius, scroll down to the orange text below. If you just want to just summarize your thoughts instead, scroll down to the dark blue text below. There’s a lot of things you like about NPH using the Choose Your Own Adventure format as well. Since you get to choose whatever happens at different parts of the autobiography (hence, it’s called a Choose your Own Autobiography), you get to just select the portions you think you’ll find interesting. If you want to read about NPH’s love of magic, go right ahead! If you’re given the option to flash forward from your childhood days to having children of your own, the choice is yours! You can even go “off script” and get one of the multiple endings! Oh, you didn’t mention that the book has different endings? Well, shame on you! Like traditional Choose Your Own Adventures, there isn’t just one ending! You can have NPH become a plain ol’ sandwich guy because he went into the wrong room or die at Joss Whedon’s house. Or have something awful happen to you because you decided to become a full time magician. It’s all tongue in cheek and hilarious. Yes, you can remember there are times when you actually LOL’ed (that’s Laugh Out Loud by the way) in real life and not just type it on a computer. Or your phone. Or anywhere the acronym would make sense. Sometimes, when you’re given two choices that you equally liked, you were forced to keep your finger on the page with the choice, go through one path and then see where the other path led. Just like a regular Choose Your Own Adventure! If you want to just forget about the bad things, scroll down to the dark blue text instead. Unfortunately, the Choose Your Own Adventure format also makes it difficult to read at times. There were numerous times wherein you would be reading the same chapters over and over and over again since a lot of the choices would lead you there. And when you flip some of the pages and see some of the things that you missed, you wondered how to get there! It actually took you a couple of days to figure out how to get to that anecdote from Penn Jillette (another close friend of yours)! Inserting choices in the middle also makes the entire thing a non-linear story. Thankfully, you’re okay with this sort of thing but you can see other people having issues with this kind of format and just wish it was a straightforward autobiography. Also, some of the choices can be rather lazy and come out from nowhere. There was one choice that just had you choosing between two page numbers for no apparent reason. You felt it was funny at the start but, by the third time you encountered these kinds of options, you felt the joke was getting a bit long in the tooth. And, while it was nice of NPH to give detailed accounts regarding his participation in Doogie Howser, MD, his various theater runs, his long list of TV movies, How I Met Your Mother, the Harold and Kumar films and Dr. Horrible’s Sing-Along Blog, you feel that he missed one show. And it’s one show you loved as well. How come NPH didn’t mention Stark Raving Mad? You know he knows it’s one of your favorite shows! You don’t care if it was cancelled after only one season. That show was hilarious! You do feel that these problems are relatively minor and all of the good things do outweigh the bad. If you want to reminisce about the good stuff in the book, scroll up to the orange text above. If you want to recap all your feelings about the book, scroll down to the dark blue text below. If you want to go out for a jog, read the icky green text just below this section. After reading the book, you felt the need to stretch your legs. So you walk out to the street and stretch out before you go jogging. The problem with stretching on the street is that… you’re on the street! A car turns the corner at high speed and turns you into roadkill. Still, you decide to go to your computer and write about what a good book it was… which is what you’re doing now. And you decide to write the review in a Choose Your Own Adventure format as well. If you want to read other reviews, please go to the I'll Review Anything section of this website by clicking here. If you want to leave your thoughts regarding Neil Patrick Harris' autobiography, comment below!